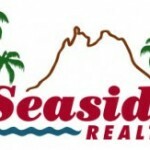 Real Estate Agents in San Carlos and Guaymas. We have many Real Estate listings for Condos, Homes, Lots and Commercial Properties that will meet your every need in all areas of San Carlos, Sonora Mexico, Luxury living or simple living we have it all. We can help you with all of your real estate listings in the San Carlos MLS. If you are looking for property in San Carlos or Guaymas in Sonora, Mexico… look no further than RE/MAX First Choice Realty! 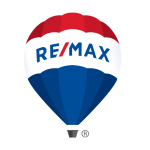 RE/MAX is known in the community and abroad for their professionalism, integrity, and tenacity in real estate. Every type of accommodation and property can be found in San Carlos. Our licensed agents are always ready to assist you with your search. We can help you find the property that best fits your needs. Our property listings are numerous and well priced with clear title work. Vive Real Estate. We are specialists in the real estate business. We have experience in buying, selling, renting and appraising homes, apartments and more. We have a team of professionals willing to help you in whatever you need. Coldwell Banker Encantado Realty is the newest real estate company with the most experienced agents in San Carlos Sonora Mexico. We guarantee our service! The Seaside Realty Selling Team of Pam Brame and Janet Vaupel enjoys helping people find their dream home in beautiful San Carlos Sonora Mexico.